I don’t often venture to Kemptown, however, I was glad to have made an exception to the rule for Brighton Best’s ‘October Best’ special at the upmarket 24 St George’s. You can find out more about Brighton’s Best here and it will give you time to look forward to next year’s October Best! Heralded by the Good Food Guide 2017 as ‘complex, ambitious modern cooking’ this somewhat unassuming restaurant squirrelled away at the top of St George’s Road has long been making in-roads with the higher calibre food scene of Brighton. 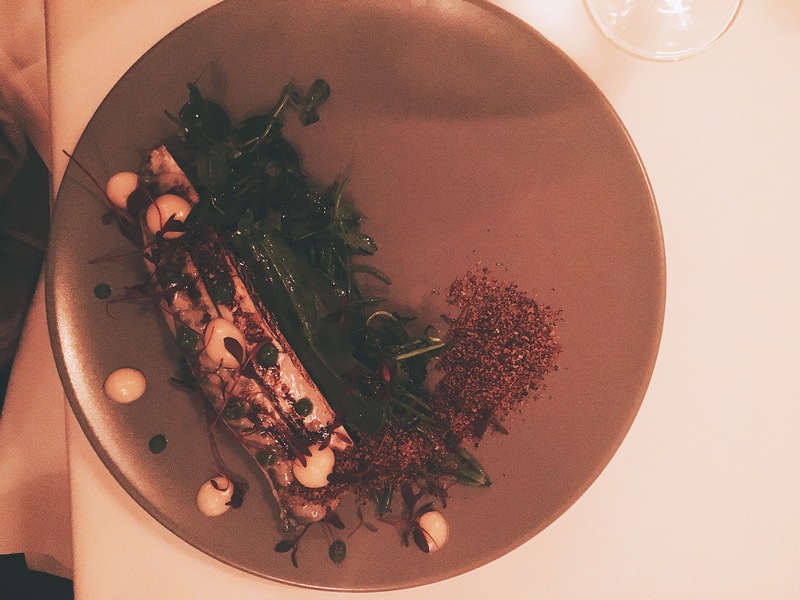 With the average three course meal costing in the region of £37 it is top end, up with the likes of The Salt Room, GB1, The Set and Isaac At. The setting is very understated and the atmosphere is informal, giving a relaxed dining environment. 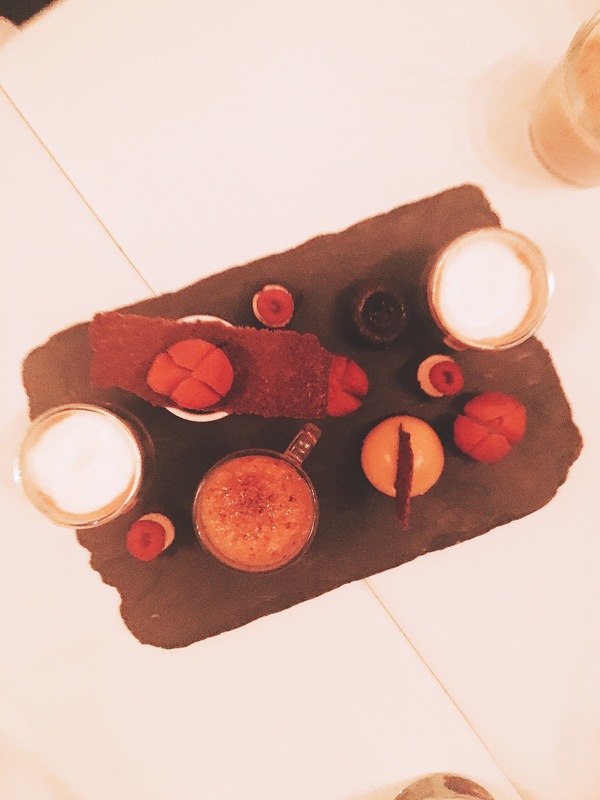 The October Best special menu offered 2 courses for £20 which included pre-starter snacks and an amuse bouche. 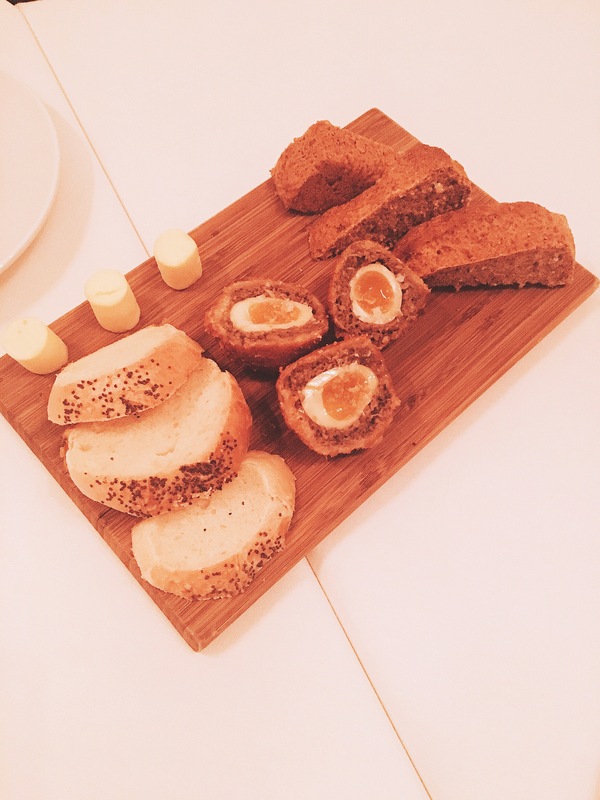 The breads were nice but the star of the show was, of course, the scotch egg. I’ve never had a vegetarian scotch egg before but the mushrooms were so flavoursome you didn’t miss the lack of meat and coated in crispy breadcrumbs. The quail’s egg was perfectly cooked with a lovely runny yolk centre. The mackerel was cured and torched giving a lovely charred taste and came with watercress, which I am personally not a fan of, samphire which did indeed give it the flavour of the sea and the dish was accompanied by a lemon and parsley crumb which coated the mackerel delicately and added a new texture. We were all impressed and astounded that this was in fact a virgin mojito – we all commented on how ‘strong’ it was before finding out that it was booze-free. The balance of flavours was perfect and it was very refreshing and moreish. The main course was a ballotine of guinea fowl and white duck, with a pan fried pigeon breast and guinea fowl bon bon. 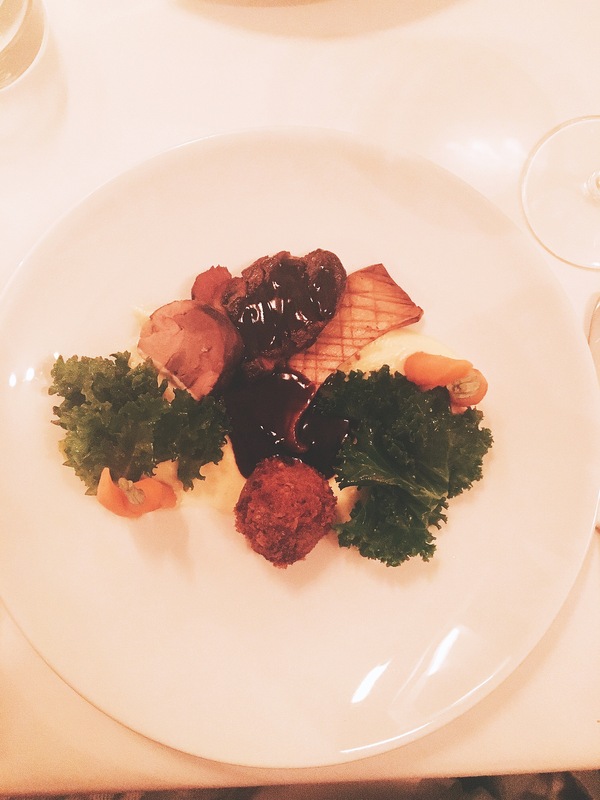 These perfectly cooked meats were accompanied by pomme puree, carrots, oyster mushroom, kale and a red wine jus. All of it was well cooked and each element was well considered and worked in harmony with the rest of the dish. The pigeon breast and pomme puree were the highlights of the dish – strong flavoured meat contrasted with the smooth creaminess of the pomme puree. My dining partners then went for the sharing dessert which went down very well! 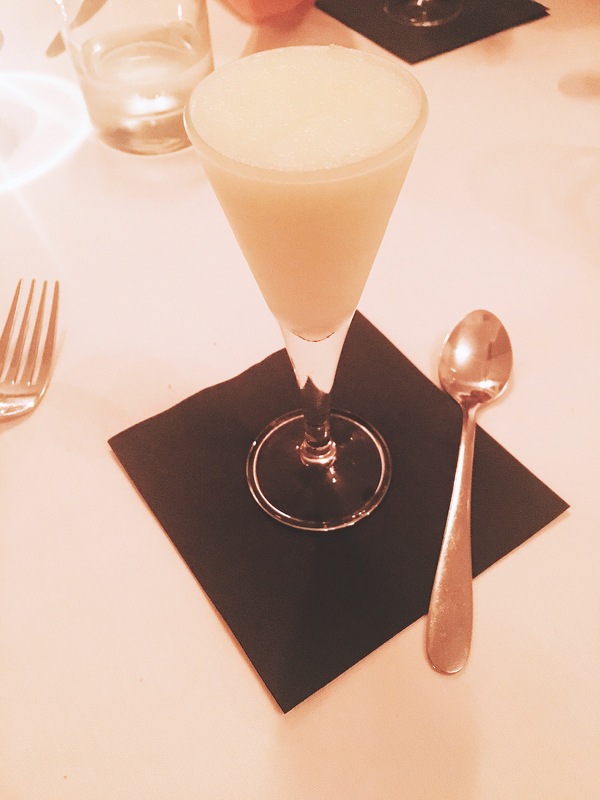 Overall, the meal was lovely and the restaurant makes fine dining accessible for all with the unpretentious setting. They now offer this affordable menu from Tuesday – Thursday evenings and Saturday at lunch time for £19.95 which is really superb value. What are you waiting for?